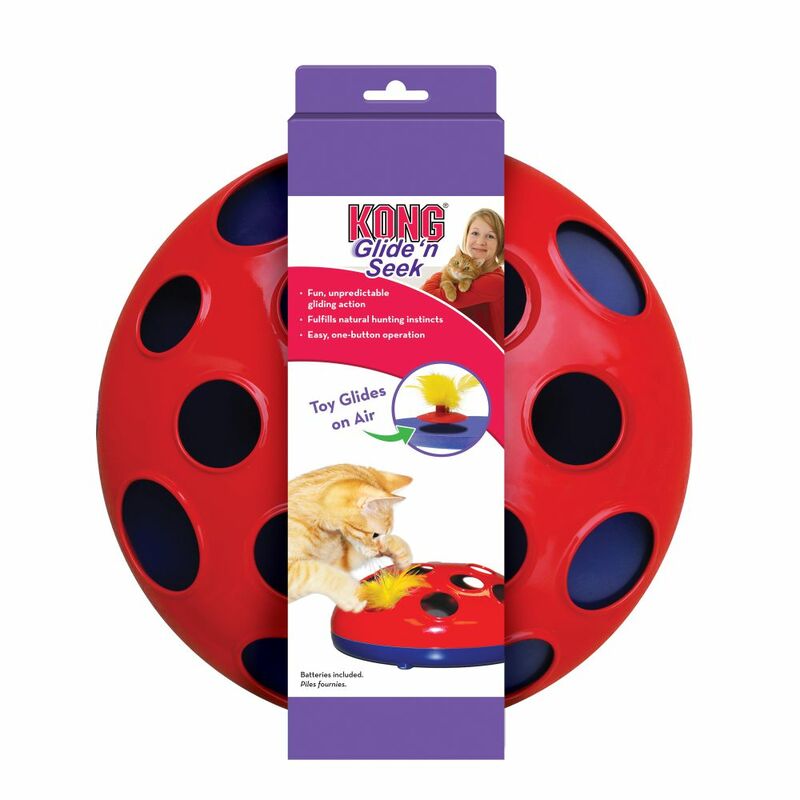 Cats will love the thrill of the chase with the new KONG Glide ’n Seek toy. 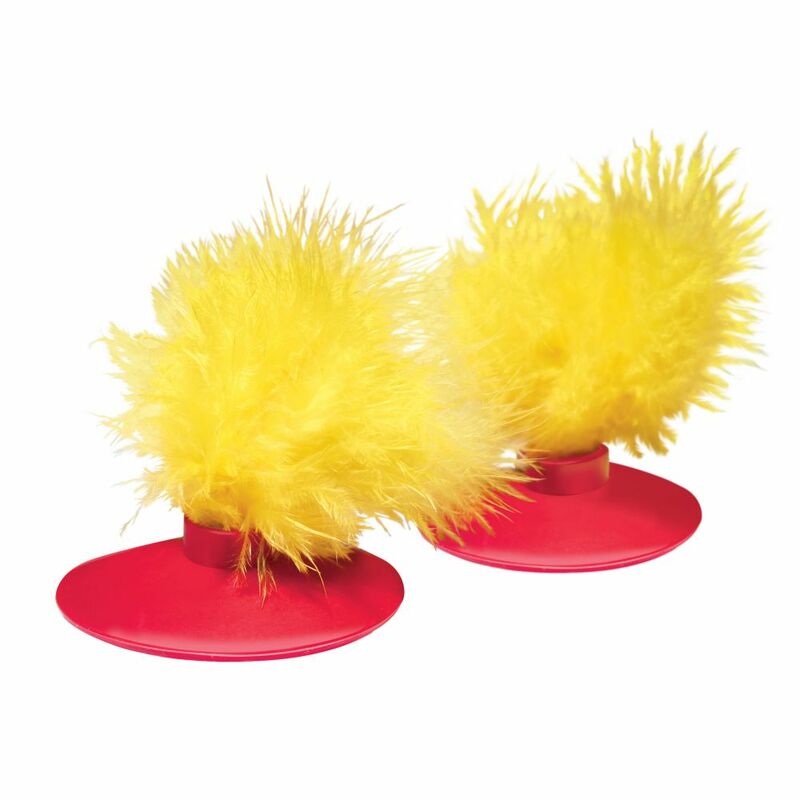 Magnetic levitation technology brings the feather toy to life—bouncing, jumping and spinning unpredictably. 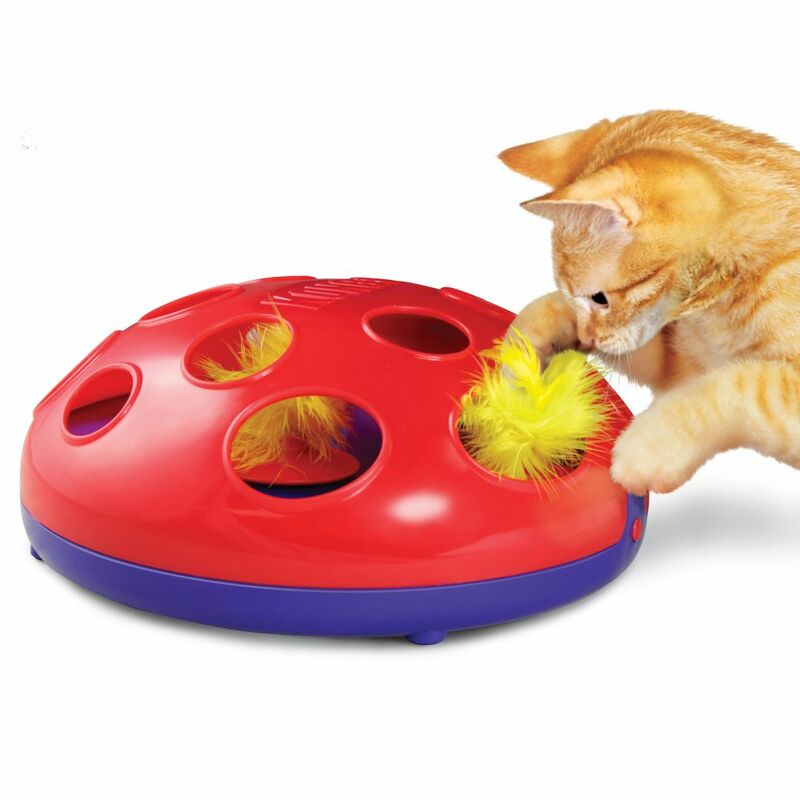 Peek-a-boo holes keep cats guessing as they hunt and chase. 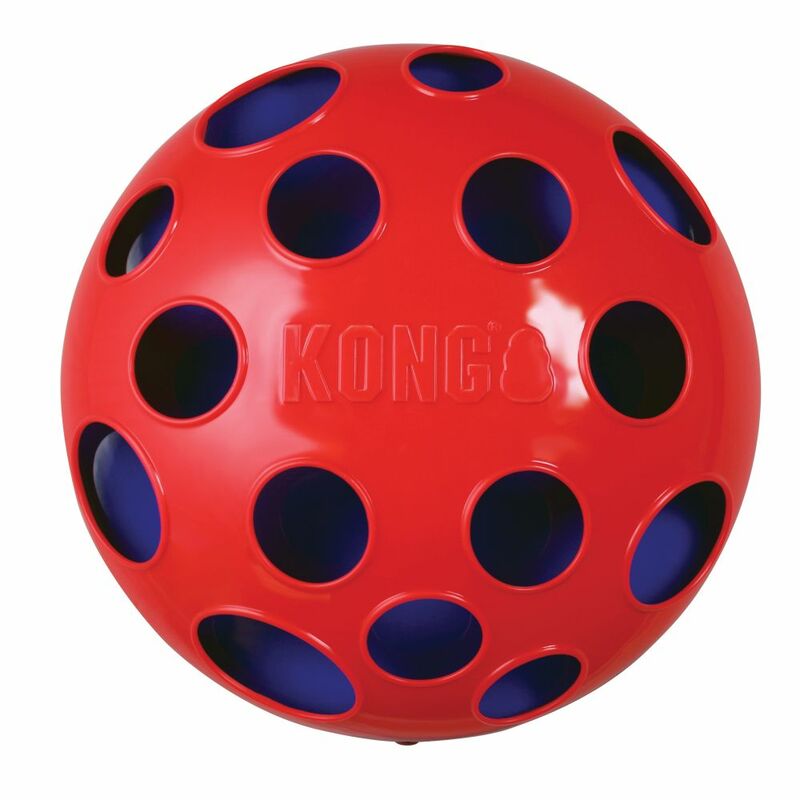 Each KONG Glide ’n Seek includes two AA batteries and two feather toys. Want to see more? Watch Glide ’n Seek in action!